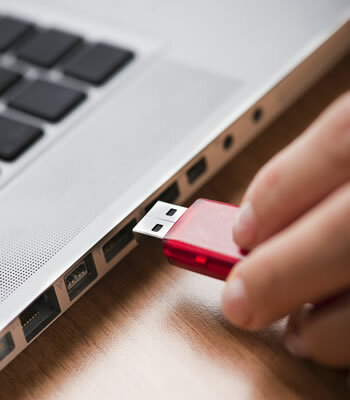 Germans can expect to pay a hefty premium on USB drives and memory cares as the nation raises taxes on flash storage by roughly 2,000%, according to Heise Online (translated). ZPÜ, the office tasked with setting levies against blank media, has reportedly increased the taxes without offering an official explanation. However, Heise notes that ZPÜ is chummy with GEMA, an RIAA-like organization that represents tens of thousands of artists, suggesting that ZPÜ isn't exactly out to protect consumers. The tax was introduced as a method of compensating the recording industry for media copied across readily available cassettes and discs. Considering the fact that it treats every shopper like a pirate, this approach is unfair, particularly so when it comes to flash storage. At one time, you might have been able to make the argument that blank audio cassettes were likely to be used as a means of copying music -- I certainly did it -- but USB drives and memory cards have infinitely more uses in modern everyday life. If we understand right, Germans currently pay an €0.08 tax (roughly $0.10) on portable flash storage, in addition a value added tax (VAT) of 7%. Starting July 1, consumers can expect to shell out €0.91 (around $1.14) on USB sticks and memory cards with less than 4GB of storage and €1.95 (about $2.44) on units over 4GB. The increase is expected to spark a "year-long" dispute between ZPÜ and memory manufacturers, with companies including Transcend and Kingston pushing for the tax to be reversed. Bitkom, an organization representing over a thousand German technology companies, has pledged to fight the increase and believes the previous rate of €0.08 per unit was reasonable. Memory makers are concerned the hike will distort true market values and push Germans to purchase memory from neighboring European countries. Additionally, manufacturers will have to save cash in case the tax is reverse in the future, which could prompt a class action lawsuit requiring companies to issue refunds.